Katie is the Office Manager of CHB Capital Partners. 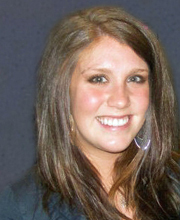 Prior to joining CHB, Katie was the Front Desk Coordinator at EOG Resources, Inc. In that position, she supported an office of 225 employees while assisting in event coordinating and meeting planning. Katie graduated with a B.S. in Organizational Communications and a minor in Business Administration from Ohio University, in Athens, Ohio.